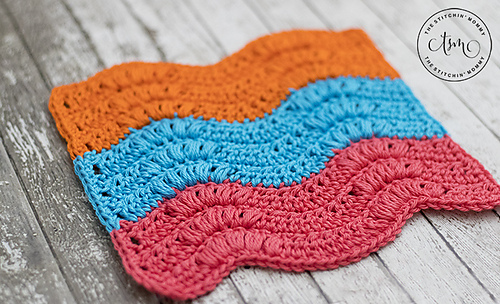 This bright, fun ripple washcloth is perfect for a spa basket. 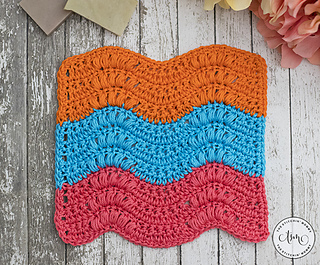 The washcloth has a fun ripple pattern with puff stitches for texture. This pattern was designed for the 2018 Washcloth CAL.